The company-manufacturer offers the Aerodynamic grain separator. 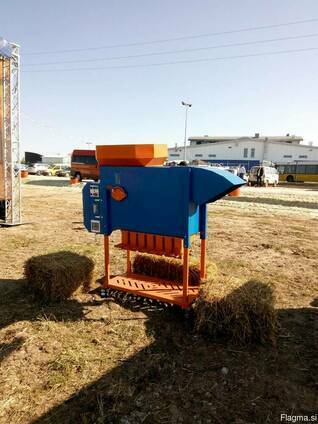 Separator makes cleaning and calibration of cereals, legumes, vegetables, melons, fodder crops, as well as all kinds of loose mixtures. Primary cleaning is designed to remove dust and partially remove non-grain waste, which allows you to quickly prepare the grain for temporary storage before further processing. Calibration is the preparation of seed material, which is produced by dividing by weight and sailing of the crop, which makes it possible to isolate the largest grain (with a larger mass) and this ensures the presence of a healthy embryonic part in the grain. This ensures high germination.